The core to this and the SE-Master 1 is the dynamic driver, a single 50mm diameter nano cellular fibre design. That’s wood pulp to the uninitiated, albeit wood pulp that’s been carefully treated. The other big aspect taken from the SE-Master 1 is the patented ‘Double Headphone Chamber’, which is basically a main chamber with ported sub-chambers for better bass response. In generally, I really like the look of these headphones. The contrasting light metal around the yoke and headband, with a contrasting copper ring, black cups, and rose-gold strain reliefs on the cables, shouldn’t work together, but actually looks refined and elegant in reality. In use, these are decidedly easy headphones to drive, and don’t require a hefty headphone amp to drive them. 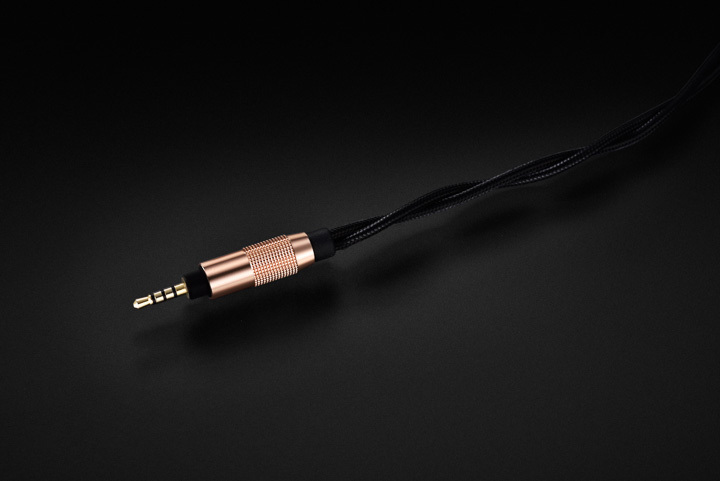 It is about quality not quantity here, as the 99dB efficiency and benign 40-ohm impedance means there is no need to be exceptionally fussy in partnering these headphones. I used them with a faithful old Audiolab 8000A (with an adaptor) to great effect, and into a new Pioneer/Onkyo DAP for both single-ended and balanced operation. Balanced does make a difference here, and you should go for it if possible. 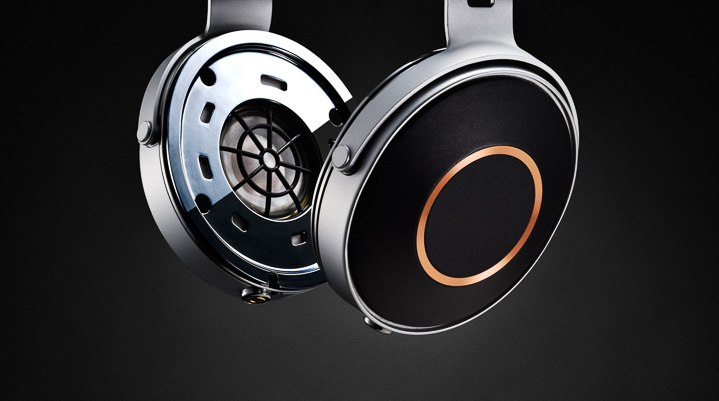 There seem to be two schools of thought in headphone design. The first is the audiophile concept, which means a flat frequency response, even if that means the headphones end up sounding bass light. The other is the tailored approach, which over-rides the flat frequency response for a more sonically acceptable presentation. That way, madness lies. Or, more accurately, Beats lies. In all honesty, most headphone makers go somewhere between the two poles, making a ‘mostly accurate’ design with extra bass. Not Pioneer! Instead, Pioneer chose to make the SE-Monitor 5 as flat as they could. This means there is a lot of bass, in terms of specific low frequencies, but not much in the way of bass slam and boost. For some, that would be an instant deal breaker, but for others, they will happily trade bass weight for bass accuracy and bass speed. I’m very much in this latter camp. I would rather hear the sound as it was recorded, even if on headphones that ultimately sounds rather thin and bass light because you can fix that in EQ if you so desire. I have to say this is one headphone where first impressions don’t count. My first audition of the Pioneer SE-Monitor-5 was unfavourable at best. As described, it was too thin and too bass light. But, it was tonally accurate, and it was fast. Really, really fast. Changing to the foam pads helped enormously, as they seem to have a natural LF boost. As did removing my glasses (they were breaking the pad’s seal around my ears). But it was still bass light. As I listened further, it became clear that it wasn’t bass light, but instead I had slowly grown accustomed to that bass rich tonal balance of even supposedly accurate headphones. Gradually, I was deprogramming myself of the taint of older headphones, and at that point I began to see what the SE-Monitor-5 was trying to do, and it dawned on me that it’s exactly what I try to do with loudspeakers. I was a convert. Now I listen and hear an extremely open and extended midrange, free from those mild lifts at 1kHz and 8kHz that seem to be there to make voices nicer. Yes, there’s still a lack of deep, thrumming bass from these headphones, as they trade bass speed over bass depth. I found I can live with that, not only because that bass speed is exhilarating, but because I want that midrange accuracy and treble extension. I found listening to the Pioneer SE-Monitor-5 with the foam ear cups worked best. This gave a very ‘in the studio’ feel. So I gave them something difficult to play: ‘Hat and Beard’ from Eric Dolphy’s Out To Lunch[Blue Note]. The interplay between musicians here is vital to getting the music right, or listening to a complete mess. And this was when the penny finally dropped – that bass speed is the key to getting this music right, and even slight deviations from neutrality just get in the way of the performance. Big bass was out! After that, many of the other great parts of the performance of the Pioneer SE-Monitor-5 just began to slot into place. It’s not a lateralised sound, and there is some width to the sound, placing musicians outside of your head. Treble extension is excellent, and the overall presentation is one of soft-spoken calm and accuracy.